Modelfixings stock a large range of small fixings from threaded fixings such as cap screws and machine screws, to woodscrews and our own very popular servo screws. Please click on the pictures below to take to you to the relevant pages. Standard size and Heavy Duty size. Available in various length, and gauges plus drivers and grommets. Slotted cheese heads from M2 to M8 in a range of lengths plus UNC sizes now in stock. Slotted countersunks from M3 to M6 in a range of lengths. HT Steel and Stainless steel. Metric (M1.6 to M6), BA & UNC threads in a range of length options and head styles. 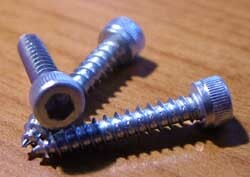 We stock over 200 different socket screw options. The ultimate in locking washes for Metric threads. Metric, UNF & UNC threads - steel, stainless and nylon. Plated, natural and black finishes. A range of metric sizes M3 to M8 and UNC sizes in stock. Metric threads in plated steel and stainless steel. Split (cotter) pins from 0.8 to 3.2mm dia. Metric steel, stainless steel & Nylon. 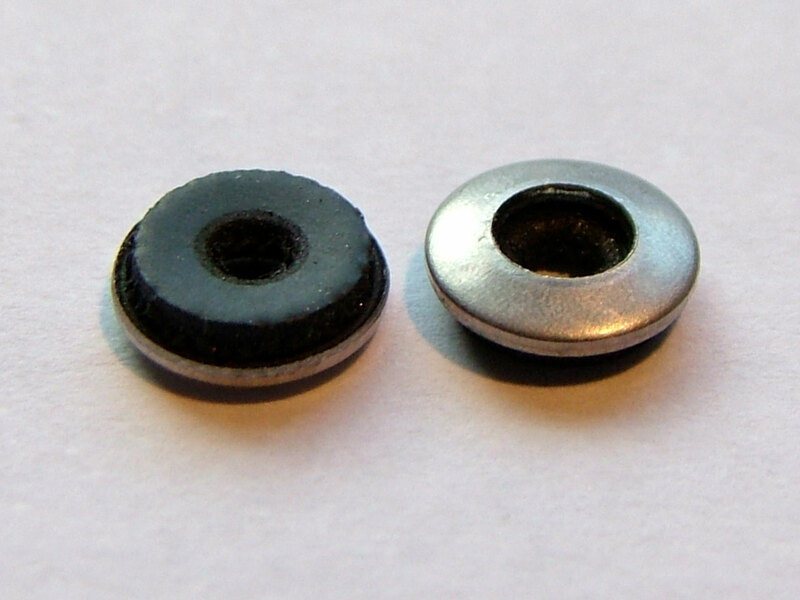 We stock a range of threaded inserts for wood - an elegant alternative to the usual tee nuts, with the added advantage that these inserts can be inserted from the same side as the fastener. Please click on the picture to go to the inserts page.